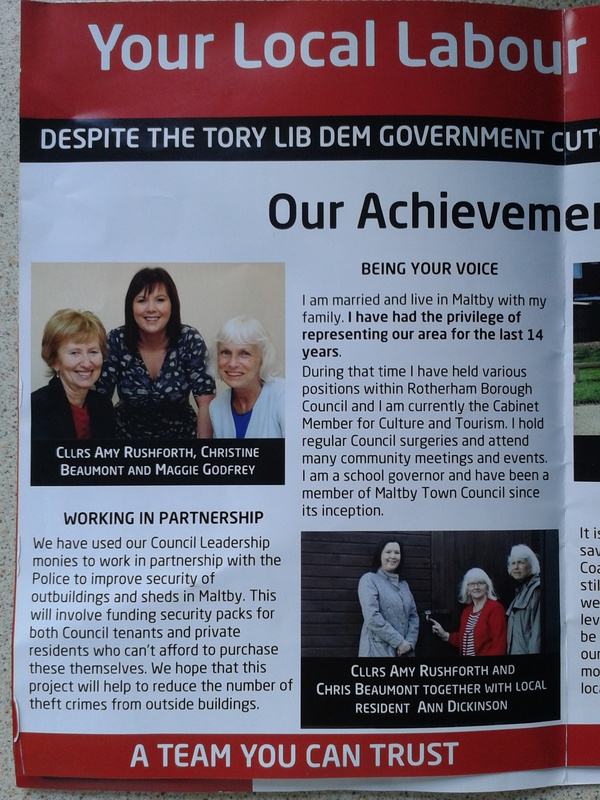 Election leaflets are a bit like buses, here in Maltby. 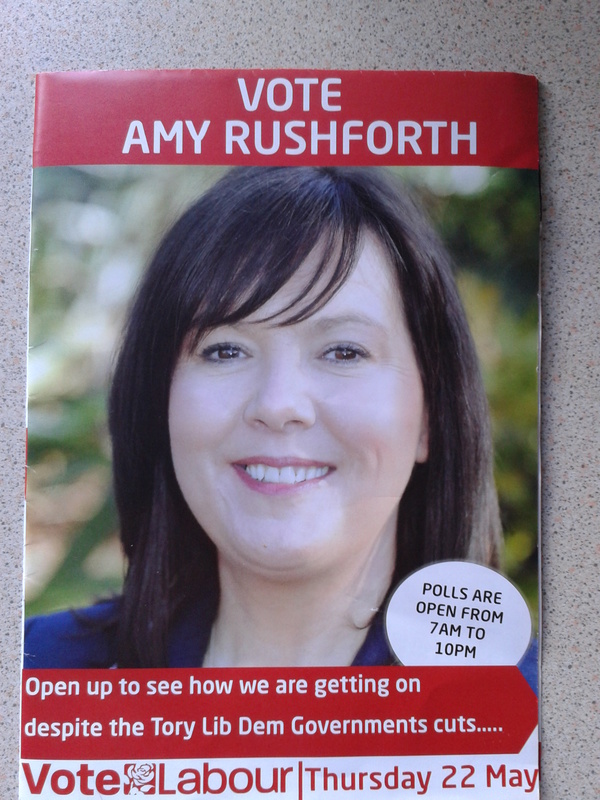 I’d just said 2 days ago that I didn’t expect a Labour leaflet through my door, and then a Labour leaflet comes through my door. 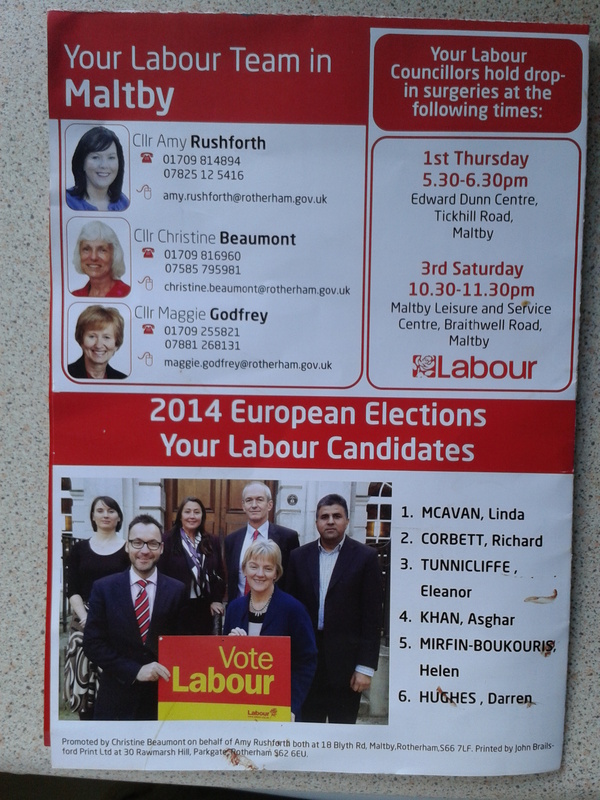 Actually it was in the post box on the wall, along with some ordinary mail, a Morrisons leaflet and a BNP leaflet. Here in all their glory, the 3 RMBC representatives for Maltby. 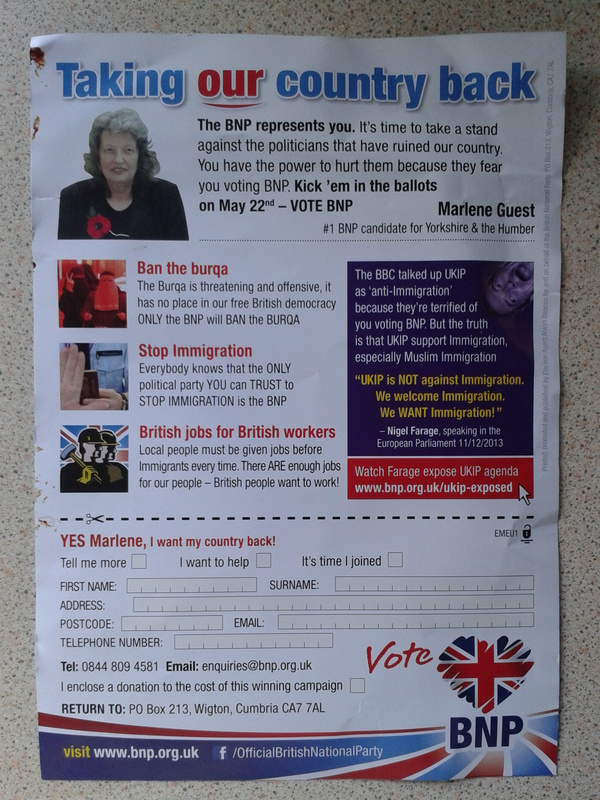 Then we have Marlene for the BNP, who I am sure will not mind me saying is a sandwich short of a picnic ! The usual ridiculous comments and statements from the BNP that might be amusing if they didn’t really believe what they are saying about themselves. Maltby had it’s share of this party back in 2008/09 with Mr W Blair – thankfully for Maltby, now retired. 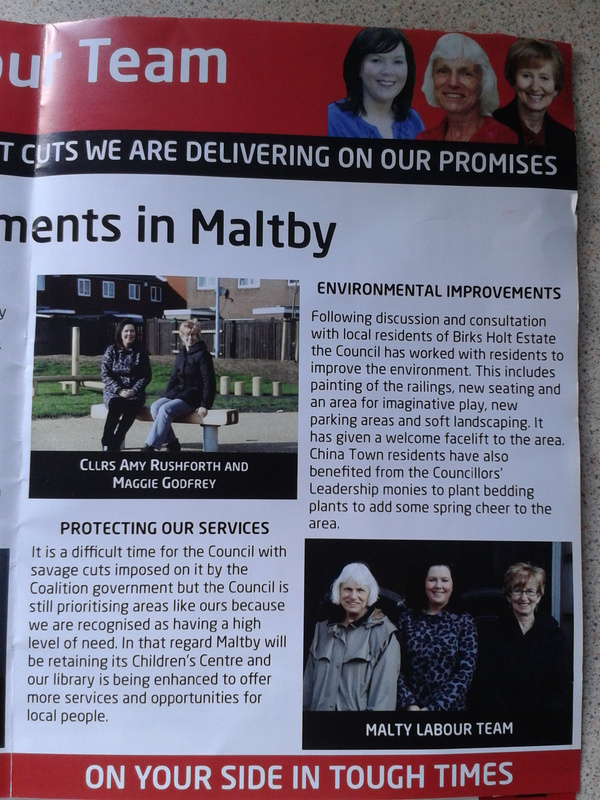 This entry was posted in Uncategorized and tagged Amy Rushforth, BNP, Elections 2014, Labour Party, Maltby, Maltby Town Council, Marlene Guest, Will Blair. Bookmark the permalink.